If the world’s highways, local roads and city centers were all brand new with bright white lanes, sparkling signs, fresh concrete and protected pedestrian overpasses, most of us might be tooling around in autonomous cars and trucks by now. But the real world has a way of deflating those expectations by populating cities and countrysides with potholes, confusing layers of repositioned lane markers, construction areas, broken-down vehicles, inconsistent entrance and exit ramps, and the occasional stray pedestrian chasing lost cargo. The variety of situations that may confront an autonomous vehicle seems endless, but the automotive industry is tackling all of them, seeking to build algorithms that can manage any challenge that the vehicle encounters. To achieve this daunting goal, the algorithms and associated equipment must be tested in a realistic, flexible setting that can be monitored and controlled, so real highways and downtowns are not the best places to determine if an engineer’s latest software tweaks really do the job. Fortunately, the Michigan Department of Transportation, the Michigan Economic Development Corporation, the University of Michigan, Business Leaders for Michigan and Ann Arbor SPARK have joined to create the American Center for Mobility (ACM), a full proving ground for vehicle-to-vehicle and vehicle-to-infrastructure testing, validation and education. The remarkable facility is under construction at the Willow Run site near Ypsilanti, Michigan, with its first phase opening on Dec. 11. Visteon is delighted to be the first Tier 1 automotive supplier to become an ACM partner, investing $5 million in this nationally designated proving ground, one of only 10 across the United States. This world-class, non-profit facility is specifically designed for developing, testing and creating standards for autonomous vehicle software and hardware, with roadways that mimic real-life situations and the obstacles they can present. Stretching across more than 500 acres, ACM preserves a mile-and-a-half portion of M-12, with its potholes and worn lane markings. It adds triple-decker overpasses, bridges and a 2.5-mile, high-speed loop. Workers also are constructing a 700-foot curved tunnel, two double overpasses, intersections, roundabouts and a complex pedestrian zone. It even will offer an urban canyon, with movable glass and steel walls that generate reflections and potentially block wireless signals. Computer vision algorithms should not always look at brand-new pavement, so ACM has lines with older faded paint. Indeed, ACM can make lane markings disappear and add construction barrels or put debris on the road along with stalled vehicles. At ACM, virtually any type of driving environment can be custom-designed for testing by the industry. We can test autonomous driving in a simulated rainstorm, where glare from the road can interfere with sensors. We can turn off the lights in a tunnel to imitate a power failure. We even can create a snowstorm without needing to wait for January in Michigan. Situated just seven miles from Visteon’s headquarters, ACM will serve as an ongoing base for perfecting Visteon’s DriveCore™ technology, an integrated autonomous driving controller providing a scalable, failsafe platform that Integrates advanced driver assistance systems through levels 3 and 4 of autonomous driving. 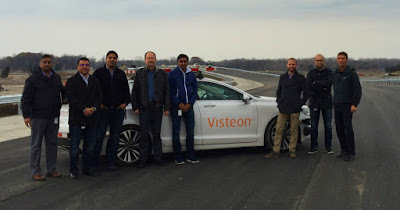 Visteon’s first autonomous vehicle will be on site for ACM’s Dec. 11 opening, so our autonomous team can test hardware, software, sensors—the entire setup—while controlling surrounding vehicles to reproduce an amazing variety of traffic situations. ACM will be a great site for proving edge-use cases for computer vision in autonomous driving—those unusual situations that defy ideal conditions. We are confident that ACM will help us more quickly validate the performance and safety of systems we are developing. Our proximity will be a huge advantage, as team members no longer will need to drive across the country to find certain test-case environments. Also, as a founding partner, Visteon can book the ACM facility in advance and permanently occupy a garage on the grounds. We believe that this strategic investment in ACM will accelerate the development of our products and demonstrate our long-term commitment to autonomous driving systems, as well as our ability to move quickly to test edge-use cases. The American Center for Mobility is an ideal, unique venue for making possible the safe validation and self-certification of connected and autonomous vehicle technology – helping ensure autonomous cars will perform reliably and safely on those unpredictable “real-world” roads and highways. Upton Bowden oversees new technology management in the Chief Technology Office at Visteon. He is primarily focused on technology and approaches that enable autonomous driving and other next-generation mobility solutions. Bowden earned a B.S. degree in electrical engineering from the University of Michigan and an MBA from Wayne State University. He holds 14 automotive electronics patents and serves on the board of the Connected Vehicle Trade Association (CTVA). A century ago, many large businesses ran their operations with rooms full of skilled clerks rapidly entering figures into a comptometer, a type of mechanical calculator considered very efficient for the times. After many decades, the comptometer proved too limiting for a rapidly advancing marketplace and was replaced by teams of data entry clerks feeding powerful mainframes. Technology continued to accelerate to the point where the calculating and data entry power of an entire corps of workers could be managed by a laptop. Today, apps have generated brilliant machinery and pocket-sized communications devices, thanks to innovative programmers and billions of lines of code. In considering the challenge of autonomous vehicles, however, yet another level of technology will be required. Conventional programming and computational approaches to problem-solving will be far outpaced by the speed and complexity needed for automated driving. The programming approaches for autonomous driving that are currently getting the lion’s share of attention – high-speed cameras, LIDAR and ultrasonic sensors – are unable to incorporate all potential driving scenarios while staying up-to-the-minute with traffic conditions, weather, construction zones and other driving issues. There is an approach, however, that will allow cars and trucks to learn and respond quickly and accurately to their constantly changing surroundings. That approach involves artificial intelligence (AI). Artificial intelligence allows the vehicle to analyze in real time the massive amounts of data – gigabytes per second – received by its cameras, LIDAR and other sensors to avoid objects and plan the vehicle’s path. Applying AI in an optimal manner involves using neural networks for object classification and reinforcement learning for path planning. Consumers already are bringing AI into their vehicles via their smartphones. Voice-based search engines and in-car navigation depend on a level of AI from off-board servers, and more infotainment systems are integrating connected features from outside servers that use AI in the background. To manage an autonomous vehicle, engineers will need to transform AI from its typical location in a room full of servers for computer and Internet access to a self-contained location in the vehicle that, for the most part, does not need to depend on outside data connections. They also will have to solve the challenge of AI’s huge demand for power, resulting in heat generation that must be dissipated, contributing to higher fuel consumption. Another area that needs to be addressed is which type of microprocessor will prove most efficient. Should it be a central processing unit (CPU), a graphics processing unit (GPU) or an application-specific integrated circuit (ASIC)? Each has benefits and drawbacks in terms of power, performance and cost. This issue is complicated by the need to decide between a CPU, where all information is received and processed, and a decentralized system with several smaller processors. Both have value, depending on how the vehicle manufacturer wishes to establish the architecture. To meet this demand, Visteon is developing a scalable autonomous driving solution applying AI – specifically neural networks and machine learning. This approach can support either centralized or decentralized processing and can greatly improve the accuracy of detecting and classifying objects in a vehicle’s path. This approach holds much promise for moving autonomous driving from a few real-world examples among a roomful of innovators to an everyday reality on our roads and highways. 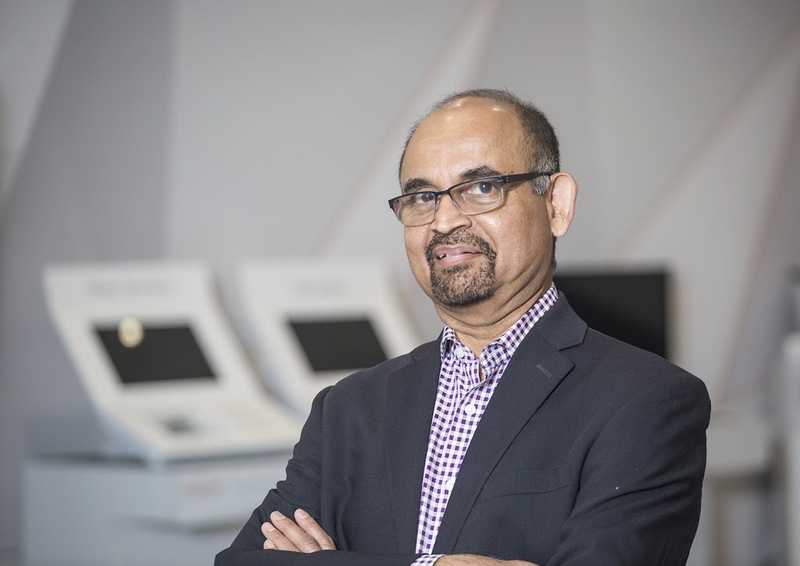 Vijay Nadkarni is the global head of artificial intelligence and deep learning technology for Visteon’s product lines, including autonomous driving/ADAS and infotainment. He is based in Santa Clara where he has management oversight of Visteon’s Silicon Valley technology center. Vijay is a hands-on technology veteran whose current focus is machine learning, Cloud computing and mobile apps. Prior to joining Visteon, he founded Chalkzen, which developed a novel Cloud platform for vehicular safety. Internships are a great way to get a taste of the job field before graduation. Most academic programs require an internship to graduate; however, students usually don’t have time to commit to something more than part-time. Many of my peers in the public relations program at Eastern Michigan University chose internships that only required working 12-15 hours a week. But I didn’t want a cookie-cutter internship – I wanted something full-time where I could really immerse myself. After spending hours searching, I applied for a communications intern position at Visteon. I was intrigued to learn that Visteon is a Tier 1 automotive supplier and a technology company that is focused on cockpit electronics and autonomous driving. It sounded new and exciting to me. I went through a two-step interview process – a phone interview followed by an in-person interview. I was especially nervous as this was my first-ever interview for my field of study. My nerves were put to rest during the in-person interview. Visteon had a casual atmosphere, open work environment, and I felt I really meshed with the people interviewing me. I left the interview hopeful, and later that day I was offered the communications intern position. My tenure at Visteon began on May 8, and I didn’t know what to expect. I certainly never would have thought that I would truly immerse myself into the communications and marketing team. I have been incredibly fortunate to have supervisors who truly care about my growth and development in the communications field and who strive to foster an all-inclusive environment. The summer has flown by in the blink of an eye, and these four months have been much more than an internship. I’ve had the opportunity to explore areas of communications and marketing that I previously didn’t consider “part of the job.” I’ve attended and participated in many meaningful events that have solidified my passion for community service and diversity. The biggest project our team is undertaking this summer is the redesign of the company website, visteon.com. Over the years, Visteon has gone through a dynamic transformation. We’ve solidified our position as a technology leader. And our website needs to reflect this. From collaborating on site maps and graphics to drafting web copy and learning about workflows, I have been involved in every step of the website redesign process. And as a millennial, my input was not only requested, it was highly valued. We are working relentlessly to get the new site up and running soon; although I won’t be here for the launch, I’ll be on the lookout for the new site. I never would have imagined that I would be an integral part of such a big project. This summer, I’ve also had the opportunity to host media. Last month, a reporter from Reuters, as well as a group of Chinese journalists, toured our facilities and interviewed our CEO. It was cool to see the feature videos and news articles that came out of those sessions that I helped coordinate. Perhaps one of the most rewarding aspects of my position was the numerous opportunities for community service. From playing bingo with sick children at the Detroit Children’s Hospital to working with Life Remodeled to clear blight in a Detroit neighborhood – I loved being able to help those who needed it. I had the opportunity to promote these events with photos, video and employee news articles. It was fun to watch the number of “likes” for my work add up on the company intranet! The internship program at Visteon is a wonderful experience. It’s clear that a lot of thought and effort goes into planning it. This summer, my fellow interns across various functions heard from a LinkedIn representative, attended a Detroit Tigers game, experienced the Ford Rouge factory tour, and met with many company executives and employees who shared valuable insights. While my time here is drawing to a close, the experiences I’ve had and the people I’ve met will remain in my memories forever. The opportunities I’ve had here are ones I will always look back on. I’ve grown tremendously since starting here in May. I have gained confidence in my abilities and have learned so much. For that, I’d like to thank every person at Visteon whom I’ve encountered who has truly made me feel a part of this company – not just an intern. It means so much to be truly valued and appreciated. In the end, I got what I came for – that once-in-a-lifetime experience. Courtney Schultz is a recent graduate of Eastern Michigan University and holds a bachelor’s degree in public relations. She received her associate’s degree in liberal arts from Washtenaw Community College in 2015. Following her summer internship at Visteon based in Van Buren Township, Michigan, she is moving to the state of Washington, where she will pursue a career in communications and public relations. Sensor fusion is a critical requirement in creating an autonomous vehicle’s “brain,” ensuring it can make intelligent, accurate and timely decisions based on behaviors of other traffic participants. Sensor fusion takes the inputs of different sensors and sensor types and uses the combined information to perceive the environment more accurately. This results in better and safer decisions than independent systems can achieve. An increasingly complex range of on-board smart sensors like cameras, radar, ultrasonic, infrared, LiDAR and connected sensors for V2X communications, Wi-Fi, 5G, GPS and telematics provides both real-time and rich data that the connected car must be able to process to create a picture of the environment around the car at any moment in time. To achieve fully autonomous driving – SAE Level 4/5 – it is essential to make judicious use of this sensor data, which is only possible with multi-sensor data fusion. By fusing sensor data, the vehicle forms a more accurate and reliable view of its environment and will have intelligent situational awareness. Sensor data fusion acts as a human brain, providing the car with a complete and accurate picture of its surroundings. The techniques that surround multi-sensor data fusion make up a very big and complex topic. Data processing techniques that associate, aggregate and integrate data from different sources help the system to build knowledge about certain events and environments, which is not possible using individual sensors separately. There are many ways to fuse the sensor data, and multi-sensor data fusion can be classified in two categories: Homogeneous and heterogeneous sensor data fusion. In homogeneous sensor fusion, sensor data of the same type are fused together, whereas in heterogeneous sensor fusion, data from different sensors are fused together based on the time of arrival of data (synchronization of data based on time stamps). Multi-sensor data fusion can be performed at four different processing levels, according to the stage at which the fusion takes place: signal, object, feature, or decision level. 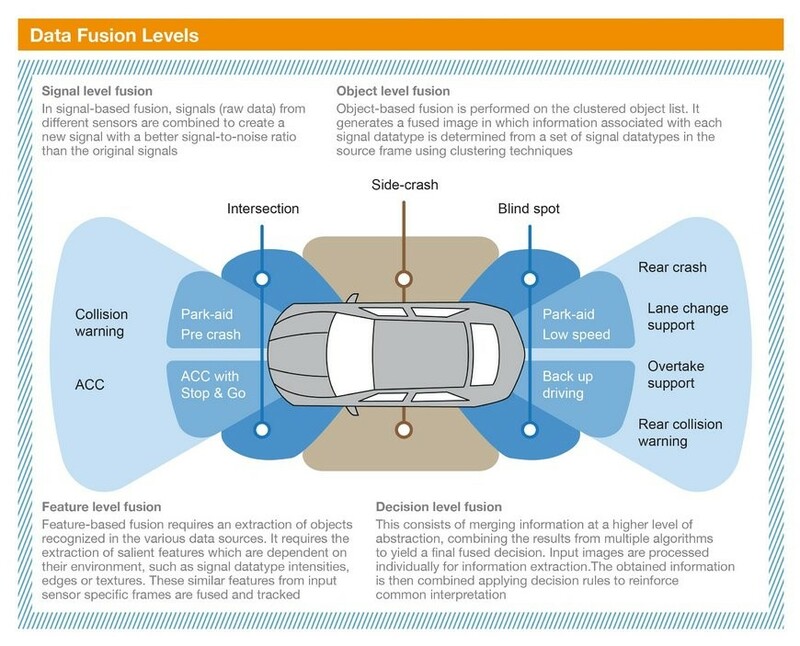 Currently all automotive players, be they automakers or Tier 1 suppliers, are extensively using feature-level fusion and decision-level fusion for multi-sensor data fusion. The benefit of this approach is the simplification of the sensor data fusion system as the smart sensors provide the list of features the system needs to make decisions. Almost all Level 2 autonomous systems are now making use of this approach. But to achieve a Level 4/5 autonomous system, feature level fusion is not sufficient due to its limited sense of environment and loss of contextual information. The application of artificial intelligence (AI) will also have limitations when working on individual sensor data to obtain a feature list because of inherent flaws in this fusion approach. Visteon is currently working on a signal-based multi-sensor data fusion approach. In this centralized architecture, sensor data from different sources are fused using AI techniques at a raw signal level. The major advantage of this approach is the availability of complete environmental information to the system which, with the help of machine learning techniques, will make informed decisions right from the start of a journey and, subsequently, be able to safely direct the car. The safe and successful introduction of autonomous driving depends on a robust solution to sensor data fusion – creating a “brain” for the car’s automated body that is able to process huge data sets, apply AI and rapidly transmit information to and from its environment. Visteon’s approach is based on integrated and centralized multi-sensor fusion technology that is built on fault-tolerant hardware and incorporates AI for the most accurate levels of object detection and classification. As a lead software engineer, Anshul is involved in the development of SmartCore™ and autonomous driving domain controller platforms. He is focused on self-driving car technologies and the effect of the Internet of Things on the auto industry. Anshul is based in Karlsruhe, Germany. Copyright © Visteon Corporation. All rights reserved.